A sculpture of "McJesus" — Jesus modeled as Ronald McDonald — has upset Christians in Israel, where the art remains on display. Hundreds of Christians in the Middle Eastern country are calling for the art to be removed from the Haifa Museum of Art, where the display has been up for months. It was previously on display in other countries without any issues. Police said that rioters who oppose the art have thrown stones and a firebomb at the museum, leaving three officers wounded. Authorities have dispersed the crowds with tear gas and stun grenades. Nissim Tal, the museum's director, told The Associated Press that the uproar was sudden. The protests appear to have been sparked by visitors who have shared photos of the exhibit online. The display is intended to be a criticism of capitalism worship. Police said that rioters who oppose the art have thrown stones and a firebomb at the museum, leaving three officers wounded. I doubt Jesus would have agreed to this kind of violence. These people are so hypocritical its quite sickening. I didn't get it. I still don't. Capitalism is dead and will rise again? It would have made more sense with Moses holding the 10 commandments in the shape of the Golden Arches. Once I read the reasoning I took it as a somewhat striking visual representation of the repriorization of our society. It truly does seem that on a certain level capitalism is the only thing, here in the US at least, that is treated as holy. Is it wrong of me to think the hypocrisy and irony here is .. delicious? You know, that if only we had no religion, and also no religious eaters of fast food, such problems would never arise. And when Westerners draw cartoon caricatures of Mohamed which upset muslims everywhere, what did the West basically tell these people? Ya, sit on it. Most Jews hate Christians? Say it ain't so! Gee, I wonder why they'd feel that way? A Nazi-themed café that was shut following after international protest at its décor has re-opened — still bearing quotations and paintings of Adolf Hitler, and staff in Nazi uniforms. The SoldatenKaffee — named after a café in Paris popular with German soldiers during World War 2 — is in Bandung, Indonesia’s third-largest city. The café was closed last year after its owner received death threats, but they pledged to re-open it and remove the swastikas. But when it was re-launched this weekend, men attended the opening in Nazi uniform and others posed as prisoners of war. The café does now feature some allied memorabilia, but the Nazi insignia and uniforms that prompted the protest remain. The article goes on to say, "A spokesman for the café’s owners said that it was interested in military history, not ideology or glorification." 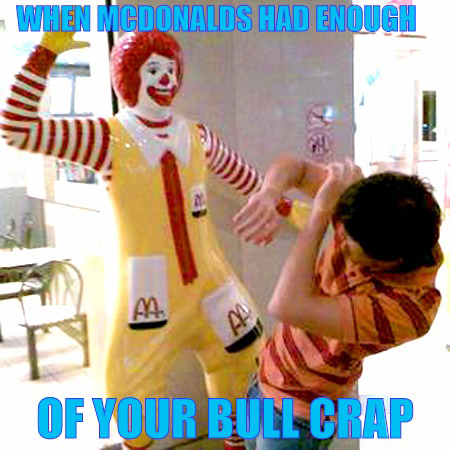 McJesus is just 'art' and Nazis are just 'history', I guess. I'm not passing judgement as I'm caught between where freedom of expression begins and where being offensive ends. I'm not passing judgement as I'm caught between where freedom of expression begins and where being offensive ends. I fully understand the offense, but when you think about it, how is this cafeteria that much different to, say, a war museum that displays memorabilia? I would make a wild guess that here in Oz, if people dressed in Nazi costume turned up at such a museum, they would (and should) be asked to leave and the cops called if they refused. I also suspect that if you opened such a coffee shop here, there would be (hopefully peaceful) protestors blocking access to the shop to ensure it could not succeed. But is that what should happen? I really am not sure. McJesus is just 'art' and Nazis are just 'history', I guess. I'm not passing judgement as I'm caught between where being offensive begins and where freedom of expression ends. It was a rhetorical question, Piney. They have every reason to mistrust and despise Christians. Have you noticed the burgeoning acceptance of antiSemitism that is ongoing, worldwide? It will only continue to grow. There is a destination, we've seen it before, only this time they aren't going quietly. Have you noticed the burgeoning acceptance of antiSemitism that is ongoing, worldwide? Why yes, yes we have. That's good, Farm boy. When the time comes for accountability it will be good that you've taken your stand for all to see. My stand ? You mean things like racism is bad? I'll gladly stand for all to see that, no worries. Amigo, you are standing on the side of the antisemites do you genuinely not see that? His Noodliness, the FSM, is very upset that his only begotten son is treated this way! Jesus taught that whoever speaks against Him, is easily forgiven, but whatever sins against the Holy Spirit, is not. I didn’t care much for the cross that was in the bottle of urine in New York, but I don’t think it should’ve been removed from the gallery. 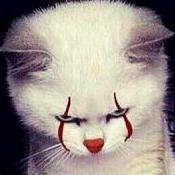 Only a true cult cannot survive such things. Oh lawd, the mindnumbing irony.. These two sentences perfectly define your profile, you should make it your signature. A sculpture of a crucified Ronald McDonald will be removed from an art museum in Israel after the display sparked violent protests, the mayor of Haifa said. 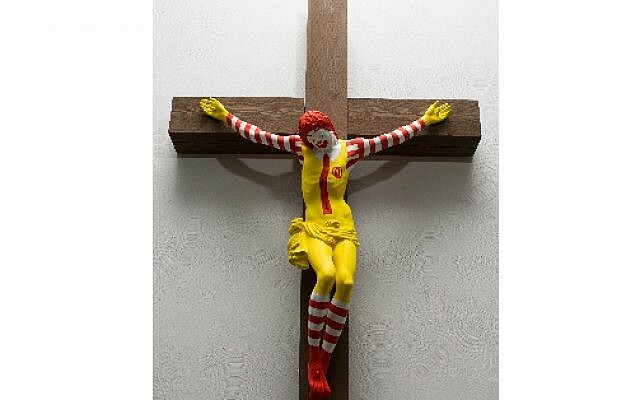 The artwork by Finnish artist Jani Leinonen, titled "McJesus," shows Ronald McDonald on the cross and had been on loan to the Haifa Museum of Art from a museum in Helsinki. In a tweet along with a picture of the work's borrowing agreement, mayor Einat Kalisch Rotem said the sculpture would be removed "as soon as possible." Good riddance. It was an eyesore. Rightly, I would be pi**ed too. If the artist had used Burger King we would not have this issue. As smart people say- choose wisely.